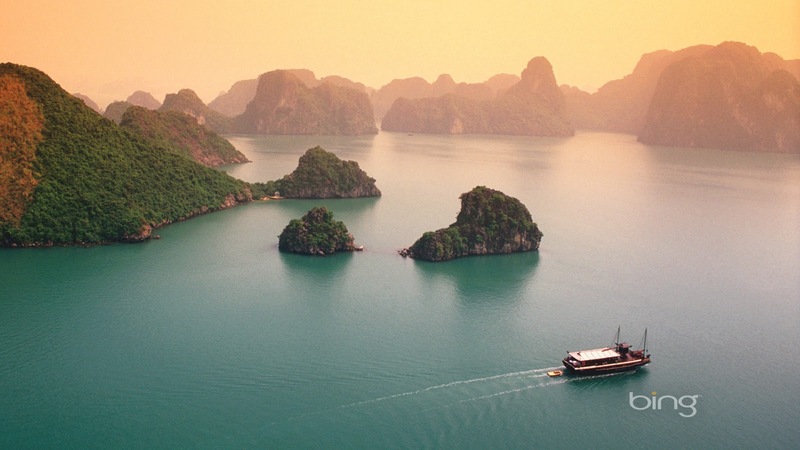 Interesting facts about Halong Bay YOU may not know! Things you need to know about Halong Bay! 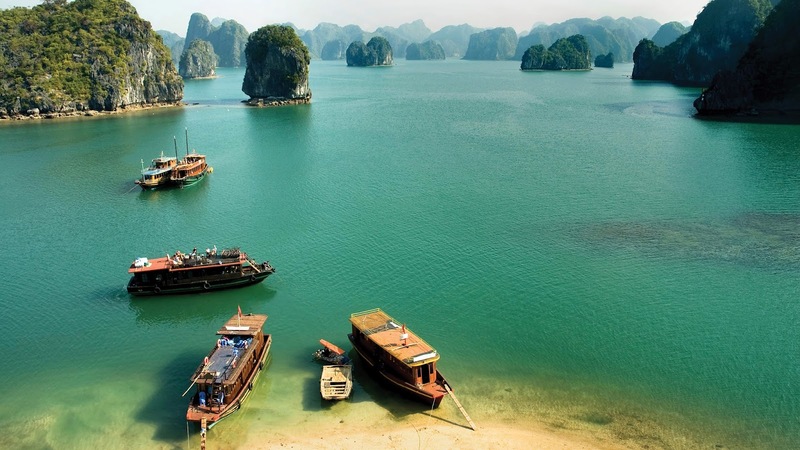 Halong Bay is the most famous attraction in Vietnam due to its speechless beauty. This beautiful bay was acknowledged as one of the 7 Wonders of the World. Once you come here, you will be seduced by the mysterious atmosphere and old legends of each place you visit. You may hear a lot of things about Halong but not all of them. Today we will give you some helpful information and interesting facts about this wonderful Bay of Vietnam. We hope you have a good time while visiting our website at trulyvietnamtour.com! WHEN WILL BE THE BEST TIME TO VISIT HALONG BAY? 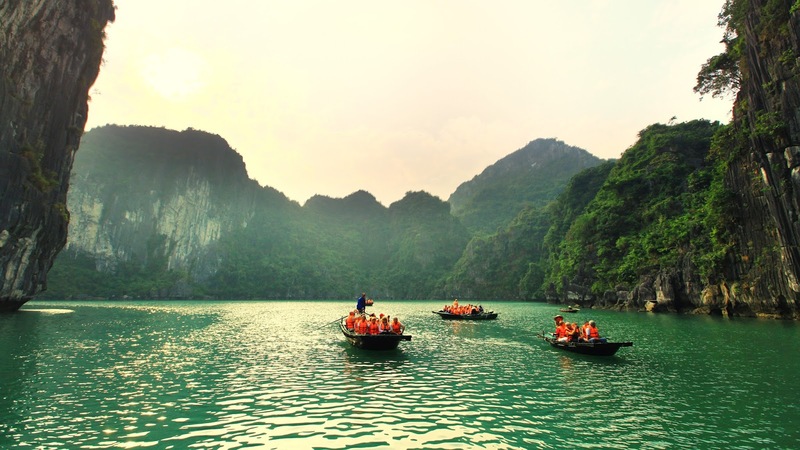 This is an important question you need to know before booking a tour to Halong Bay. You know, it is a Bay so basically it has its own season for the best experience. For each visitor, the time is quite different. If you are a domestic tourist, you should visit Halong Bay in the summer (from April to October) and if you are a international tourist, winter is the time for you. The price will raise suddenly because of the amount of tourists. There is a huge amount of tourists come here in June and July. If you want to enjoy the relaxing time, this time is not a good choice. From June to July, there usually have typhoons and storms here according to the weather forecast. Be careful! If you only have free time in June and July, make sure to contact a good reputation travel agency to manage your whole trip! You can contact us at trulyvietnamtour.com for more information! WHAT INTERESTING ACTIVITIES CAN YOU JOIN IN HALONG BAY? We can say that since Halong Bay becomes such a famous destination to many tourists, the tourism here has been improved day by day. Along with that, we want to talk about many kinds of interesting activities have been organized for entertainment purpose of all tourists. Now, we will list out some of them and we hope you can find one or all of them are interesting! This the cool experience for people who love to blend with the beauty of nature. 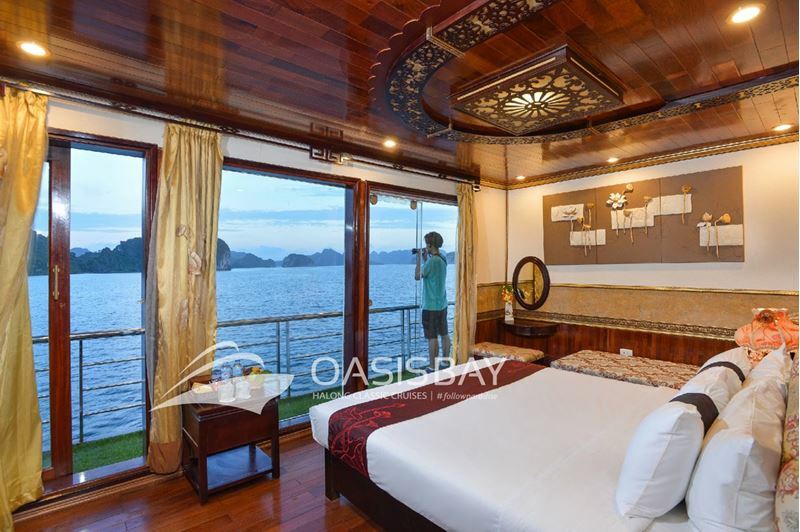 You will have the chance to sleep over on cruise and cruising all night to all corners of Halong Bay. Joining the seafood party on sundeck of the cruise with everyone and dance along the music. You can also watch the sunrise and sunset on boat with your beloved ones. 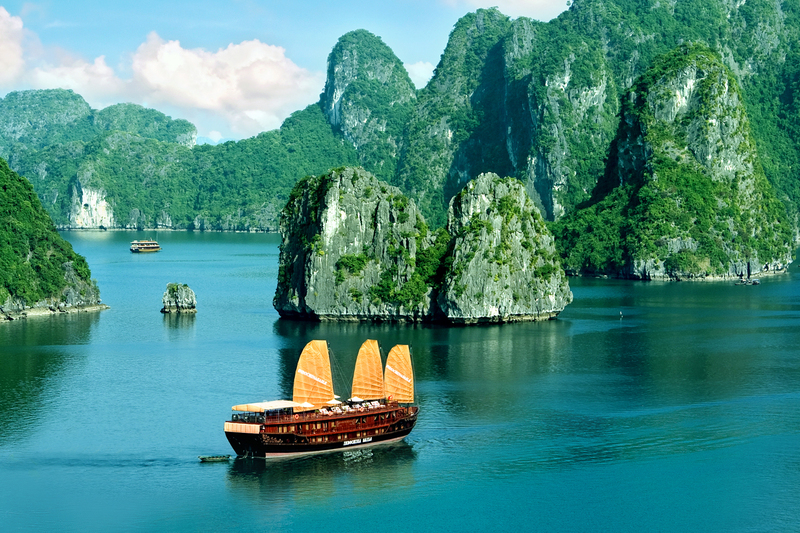 Enjoy the peaceful atmosphere in Halong bay where there is no hustling and bustling noise like the city. The National Geographic Magazine ranked Halong Bay is one of 25 best places in the world for kayaking! This is the most interesting that all international tourists want to join when they are visiting Halong Bay. You can sit on a small kayaking and sailing around the Bay to discover each of mysterious grotto. You can also visit some of famous places in Halong Bay like Vung Vieng floating village, Cong Dam floating village, Ba Hang floating village, etc. Exploring how a daily life of a fisherman like and how they make a living. Keep in mind that, kayaking is also a dangerous water sport, so if you can’t swim or you are not calmness enough, reconsider to take part in this activities. Another way to explore Halong Bay is getting on a seaplane and fly around the bay. The seaplane tour begins at Tuan Chau island and it will fly you around Halong Bay. It can land at the central of Halong bay, depending on the itinerary that you choose from the beginning. There are about 5-10 flights every day. 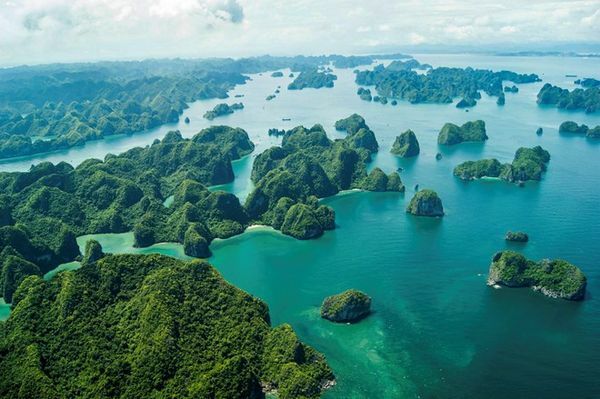 The view of Halong Bay from above is absolutely breath-taking! 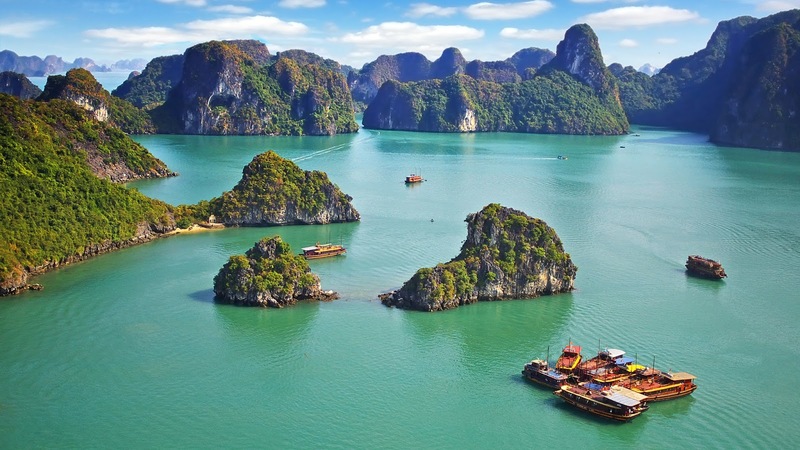 You will understand why Halong Bay is one of 7 Wonders of the World. The price for each flight is about 3-6 millions/person. Depending on your finance status, you can choose to experience this wonderful chance! There are 4 floating villages in Halong bay that you can visit. This is a good chance for you to live as a fisherman for one day. There are many things you can try when staying here and one of them is squid fishing at midnight. When the night becomes darker, you and your friends can get on a small boat and enjoy the peaceful atmosphere. Spending all night to catch squid and have local people to cook for you. The taste of the food that you put effort to get is always better than anything else! This is not the first Wax Museum in Vietnam but it’s the biggest one! The entrance fee is 100,000 vnd for each person. You can take photo with your idols, famous actors/actresses, powerful politicians or amazing sport stars here. All the wax model is look alike real person, from the skin, hair, eyebrow to the very expression! They call it the Queen Cable – it was designed and built up by the two famous designers Doppelmayr (Austria) và Garaventa (Switzerland). 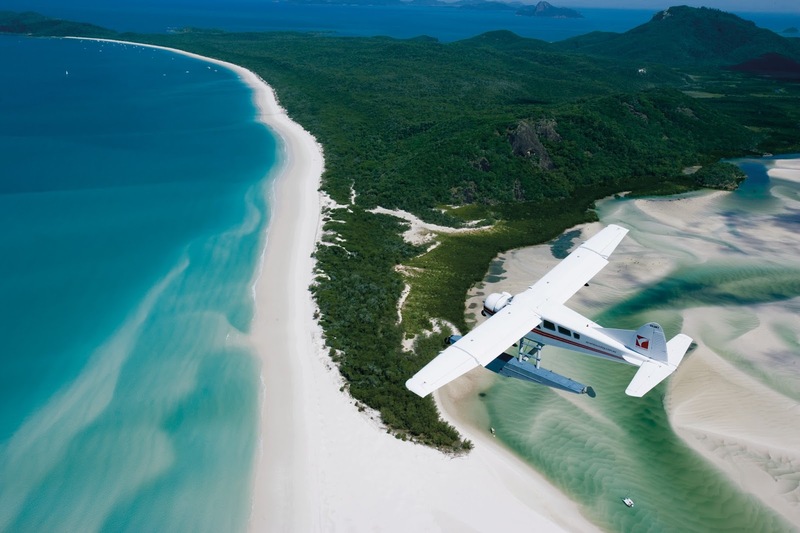 It can transport about 2000 tourist/hour with 2 cabins. You will start at Bai Chay Wharf and finish at Ba Deo (Hon Gai island). This cable car recorded 2 World Guiness Records: the Biggest capacity cable (230 people/cabin) and the Cable that has the highest pillar in compare to the ground (188,88m). Okay. That’s all of this post. What to you think after reading this post? Leave a comment below and tell us everything! If you like it please share and follow our blog. For the latest news, don’t forget to check our blog regularly. Find more interesting tours of Halong bay and Vietnam at our website: trulyvietnamtour.com!